Toronto – October 9, 2018 – In Canadian workplaces, about a third of short-term and long-term disability claims are attributed to mental health problems and illnesses. But the prevalence of workplace mental health issues is likely higher, for many workers report they are hesitant to tell their manager they are suffering from depression, anxiety, or other psychological challenges. They are more likely to report to their own family doctor, with depression alone now equal to high blood pressure in terms of the top issue that physicians see in their practice. 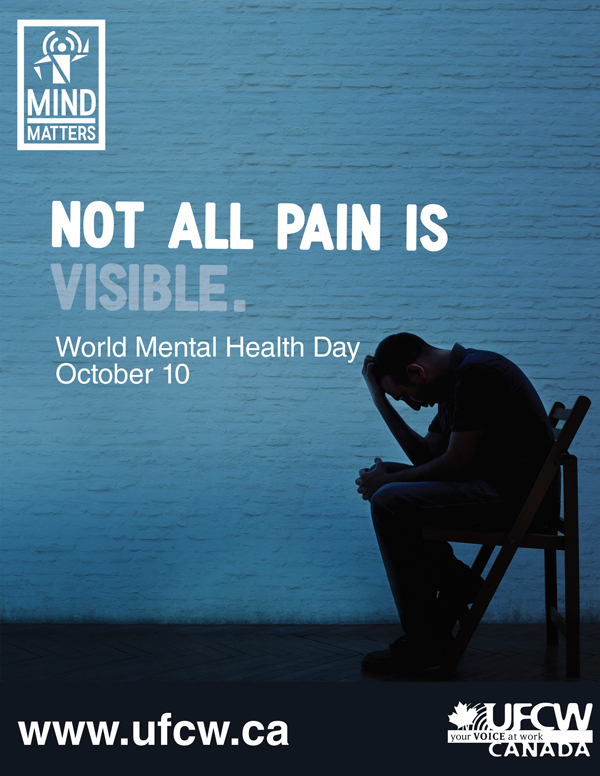 7 million – 1 in 5 Canadians (7 millions) will experience a mental illness annually, yet only half, 1 in 10 Canadians, use health services for mood and anxiety disorders each year. 7% – Percentage of working Canadians who report that their work is the most stressful part of their day. 16% • Percentage of working Canadians who say their workplace is a frequent or ongoing source of feelings of depression, anxiety or other mental illness. 38.6% – More than a third of all workers surveyed said they would not tell their current manager if they were experiencing a mental health problem. 82% – More than eight in 10 employees with mental health issues indicated it impacted their work, while only 53% of those with physical health issues said it impacted their work. 63% – Percentage of physicians who reported that depression, anxiety, and stress disorders as the fastest-growing issues over the past 3 years. 17% – Percentage of Canadians who reported that they have taken time away from work and school to deal with a personal mental health issue. 8% – Percentage of Canadians who reported that they had taken time away from work to help a family member or close friend with their mental illness.